The Ricoh MP C4504 is a faster, more powerful version of the Ricoh MP C3004 (and logically a slightly slower version of the Ricoh MP C5504). Outstanding Reliability, Quality and workplace productivity form the basis of the MP C4504. This is a 45 page per minute, high-end Multifunction Printer and by far our most popular unit. The large “Ricoh specific”, android touch screen enables enhanced printing and scanning of documents while remaining easy to use. As with everything Kopikat, the quality and technology in the background allow us to keep it simple. At the heart of the Ricoh MP C4504 is a powerful, easy to use “touch and swipe” colour Smart Operation Panel that makes mobile and flexible working simple. This all amounts to a more productive workflow for your team. What appears on this panel can be tailored to the individual preferences of users, with immediate access to the most commonly used print, copy and scan functions through one-touch icons. Moving forward, file sharing platforms such as Dropbox, Box and individual case management systems can be seamlessly linked. 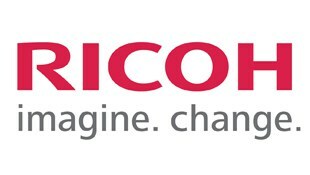 Ricoh MP C4504 features Ricoh’s new 10.1” Smart Operation Panel and is print, copy (45ppm) and scan enabled. Fax is an option. This SP version is supplied with an Automatic Reverse Document Feeder (ARDF) via which 100 originals can be fed in a single batch and scanned at a speed of 80 images per minute. Other functional options include PostScript and Kopikat Shareflow OCR scanning. The Ricoh MP C4504 uses Ricoh’s GWNX controller, with its superfast 1.33GHz Intel processor to manage the workflow. To save time, a Human Detection Sensor wakes the MFP instantly from sleep mode – it takes less than 1 second – and the Smart Operation Panel lights up when touched, allowing the user to select applications and settings.